As the semester comes to an end, the various theater groups in Yale-NUS College are coming out in full force, with five productions in a span of three weeks. Each production being staged this month provides a different experience for the theater community here, working not in opposition, but complementary to each other. I spoke to the people involved to find out more about our flourishing theater scene. The only play staged this semester not written by students was Boom by (aside) – the Yale-NUS Repertory Theatre Company, that ran from Nov. 3-4. 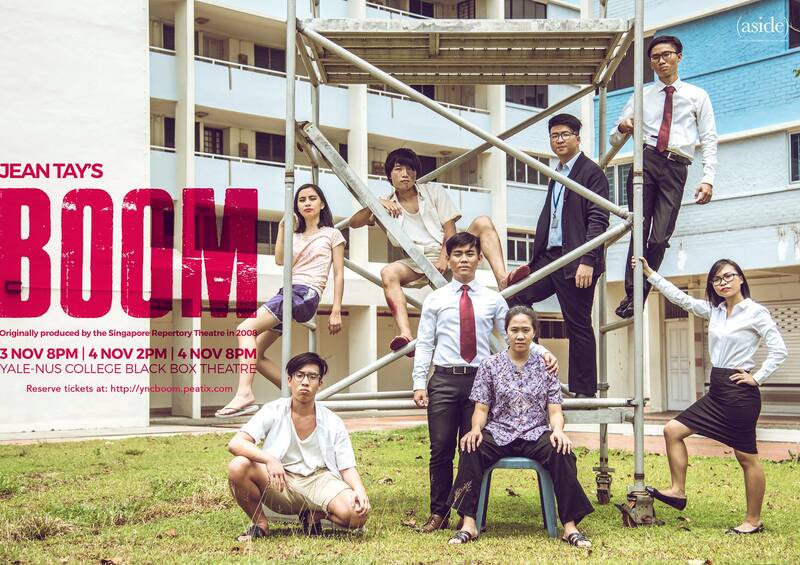 Written by Jean Tay, Boom was first produced by the Singapore Repertory Theatre in 2008, and tackled issues of cultural identity and land use in Singapore. Despite the seriousness of subject matter, director Benson Pang ’18 made it clear that he wanted his actors to find joy in the process. “We are serious about having fun and hav[ing] fun being serious,” Pang said. Boom made waves even outside of Yale-NUS. Theatre reviewers Bakchormeeboys commented that Boom was a “fine example of a ‘school’ production that can and will find success even outside Yale-NUS” and that the production made them “fully believe in the future of the local arts scene”. Roshan Singh ’18, whose play, Open Mike, is part of 2 Ducks: a Double Bill, started writing plays only in his Sophomore year, whenhe joined Green Room Theatre’s 24 Hour Play. Now, he plans to pursue theater after graduation. Also in the double bill is Good Morning Ms. Chan, written by Syafiqah Nabilah ’20. “One of the reasons we decided to stage our works together was because we found that a lot of theater in Yale-NUS is very serious and we want to carve out a space for work that is lighthearted and fun,” Nabilah said. 2 Ducks: a Double Bill will be staged from Nov. 10-11 in Practice Room 6. The playwrights tell me that the small space is intentional, to foster intimacy between the audience and actors. 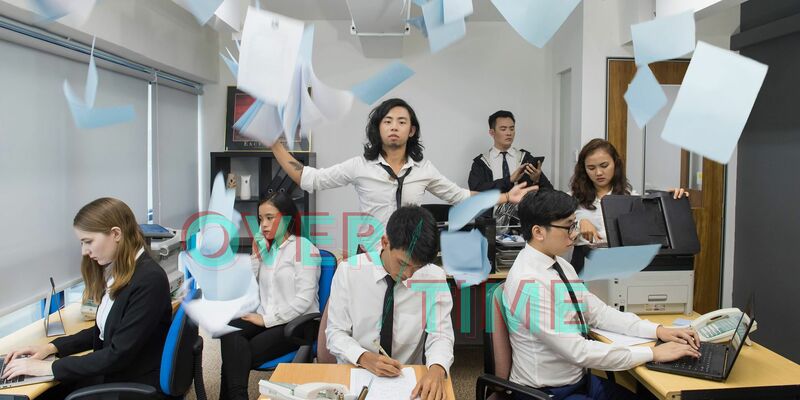 Another original, Overtime, a musical by Myle Yan Tay ’19 and Nathaniel Mah ’20, came about when they were discussing how hard it was to stage well known musicals due to how expensive it was to purchase the rights. “I turned to Yan and said, ‘Okay lah, we write our own!’” said Mah. While they were joking about it at first, the duo spent the entirety of winter break last year writing the first draft of the musical. Betina Choa ’21, who is part of the ensemble, said, “I get so motivated by the fact that it’s an original musical. It is so scary to put work out there and Nathaniel and Yan are so brave for doing it.” Overtime will run on Nov. 16, 18 and 19. Mah and Tay are also part of Yale-NUS Improv, which had its showcase on Nov. 6. They find that their work in Improv informed how they are staging Overtime. “I’ve had the cast improvise moments and they’ll say a line that’s better than anything I could write,” said Tay. As I was speaking to these theater makers, a spirit of experimentation and collaboration really stood out. “The diversity of our school provides a very unique environment for theater-making. I’m very excited for the future of creative storytelling in this school,” said Singh.